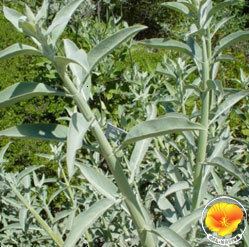 This woody shrub has long stems with silvery white leaves and fragrant white flowers that bloom in the spring. It provides a strong sturctural form as a garden focal point. It can reach 6'H x 6'W.